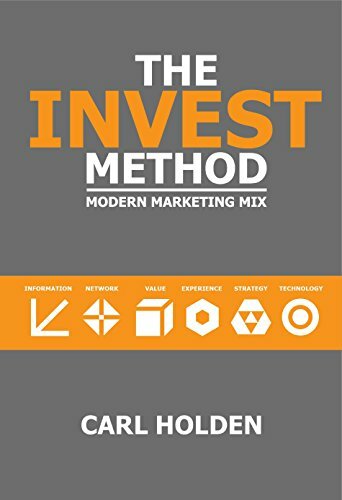 The INVEST Method, Amazon Best Seller, describes a modern marketing mix replacing the antiquated 4 P’s of Marketing. INVEST stands for Information, Network, Value, Experience, Strategy, and Technology. Each principle comes with a visual model to explain that aspect. Google succeeds because it has continued to offer innovative solutions to technology. First was search.Then came effective ads, video, maps, email, Android. You know that. Each of these jumps solved big problems or indexed parts of our lives that were otherwise unorganized. 3D scanning isn’t new, nor is AR. But it solves a problem. People want to see their food before they eat it. Imagine sitting at your desk. Pull up a Google Map listing then click the Eats button. You then cast the images of food on your desk, deciding which salad or burger you will eat at Joe’s. The Tinder of the Tummy. Yes, it has revenue potential. Once the platform hits market saturation, you could even create paid platforms that recommend good plates. Given that people are using Google enabled devices, you could easily charge conversion- if they view a plate and then eat there, you charge the ad fee. Or they pay to have a 20% coupon hovering above the plate.